GIVE THE GIFT OF LIFE THIS HOLIDAY SEASON! Risk for injuries and heart attack both rise dramatically during the holiday season. Sudden Cardiac Arrest increase is commonly attributed to holiday stress, as well as the consumption of richer foods and alcohol. Injuries and accidents rise due to cooking (often with many people in an unfamiliar kitchen), holiday lights and decorations, space heaters, and more. No matter what the reason - Give life this season! Whether your group is still within the 2 year certification period or not: a refresher course in CPR and First Aid is timely, makes a great gift, and could help keep everyone safe. Remember that 80% of all bystander CPR is performed on loved ones! Now… if you want to give the gift of lifesaving, we’ll pitch in too. 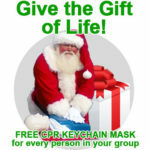 Not only are our CPR, First Aid & AED Classes ½ the Time, ½ the Price, and TWICE the Fun!™, but you can save even more by combining classes and, we’ll add a FREE CPR KEYCHAIN MASK for every person in your group if you schedule and pay for your class in December 2018 to occur any time in 2019! Training makes a great group event - Take your Holiday down-time and turn it into a lifesaving event! Ready? ...Get your quotes now! How it works: Get your CPR, First Aid, or AED Quote by clicking below (or combination of any/all these). After reviewing the super-low quote price, schedule and pay for your class with our team in December 2018 to happen at your location ANY TIME DURING 2019 & we’ll add a free CPR keychain for each student. For single topics, we’ll add the mini keychain and if you hold a multi-topic class, we’ll add the larger keychain with gloves! 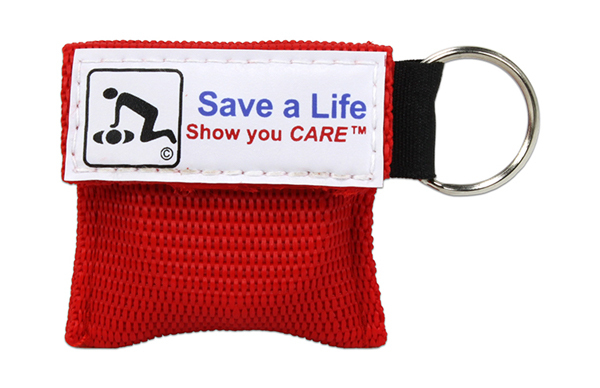 You must mention you want the “Free CPR Keychain Deal” when scheduling, as we can’t send them out after a class – we need to include them with your materials so we can hand out to the students on the day of the class. If you would like to purchase some for gifts or safety reminders – you may do that too – just click below. Offer expires at Midnight 12/27/18 Available Online at AmericanCPR.com or Toll Free 800.823.0124 - Offer cannot be combined with any other offers or incentives. Offer cannot be applied to completed orders. While supplies last, offer subject to substitution or change without notice. Call with questions or for further details. 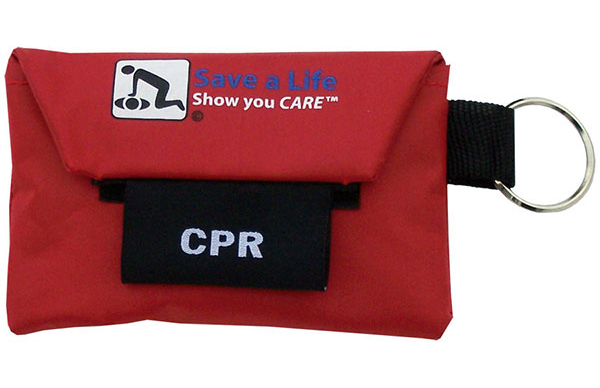 This entry was posted in Sales and Special Offers and tagged cpr, holiday, Sudden Cardiac Arrest, . cpr keychain, stress, gift, free, american cpr, first aid class, aed class, cpr class on December 11, 2018 by American CPR Training Team. 10% OFF Black Friday Doorbuster / Cyber MonDeal! EXTRA 10% OFF CyberMan Sale! READY? Black Friday DoorBuster / Cyber MonDeal! 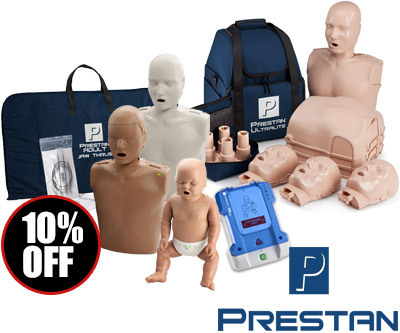 We’re offering 10% off CPR Prompt®, Basic Buddy™, and Prestan® Products… even the awesome Prestan bilingual AED Trainer and the newest Prestan Ultralite® Manikins! 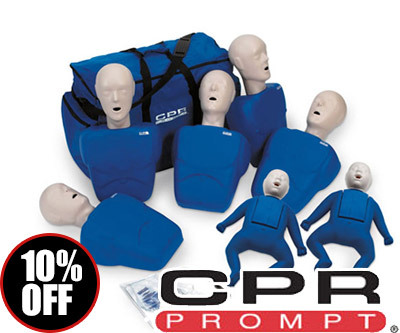 The manufacturers control pricing on these products (it’s called “Minimum Advertised Price policy”) so we are very fortunate to have permission to offer all of these best-selling CPR & AED training products at an even more exceptional value to help you raise awareness of critical lifesaving skills. Take advantage of this very rare deal to build your manikin militia and go wage war on sudden death! While we at American CPR Training™ have always promoted CPR & AED Awareness Week, you’ll want to hurry to take advantage of these National CPR & AED Awareness Week Deals now. Enter code "CPRSaves" in your shopping cart (not at checkout) for this EXTRA 10% OFF while stock is available. Offer expires at Midnight 11/27/17 Available Online at AmericanCPR.com or Toll Free - Offer cannot be combined with any other offers or incentives. Offer cannot be applied to completed orders. While supplies last, offer subject to substitution or change without notice. Call with questions or for further details. Offer only valid on brands listed above. *Consult your Tax Professional to see if the tax benefits apply to you. 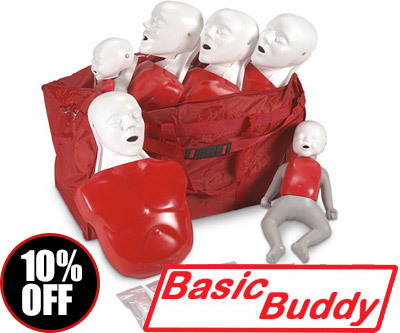 This entry was posted in Sales and Special Offers and tagged black friday, CPR Training, sale, basic buddy, baby buddy, prestan, cpr manikin, cpr prompt, 10% off, cyber monday, deal, discount, gift, promo, promotion on November 20, 2017 by American CPR Training Team. Prestan Rolls Out Major Upgrade to Professional AED Trainer!